Students are encouraged to create their own scrapbooks or textbook as they study history. Some homeschoolers refer to this as "notebooking". Primary History (ages 3-8) The Primary History resource guide Stories from the Heart provides a monthly calendar for students to cycle through each year. Monthly themes are consistent with the Well Educated Heart study guide for older student to allow families to focus on one monthly theme for all ages. Families are encouraged to read Bible stories, family history stories about their ancestors, familiar stories, imaginative stories, and heroic stories at this age. Mother Goose and other rhymes are provided and encouraged for the youngest children. 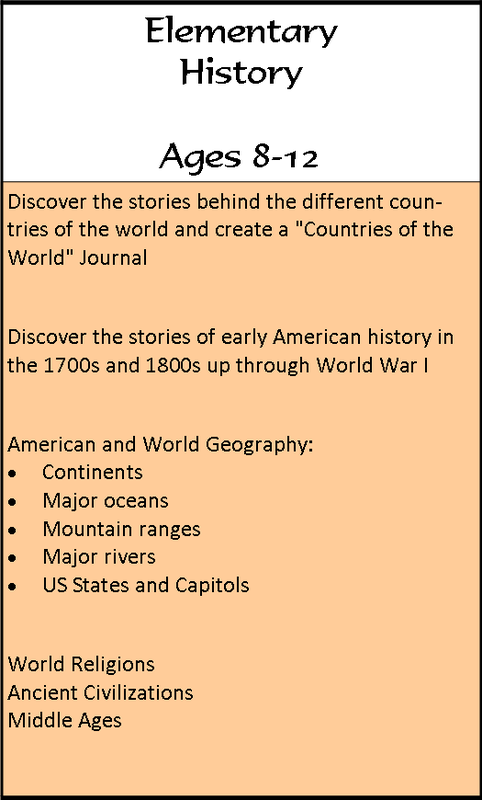 Elementary History (ages 8-12) incorporates the study guide from The Well-Educated Heart study guide. Students cycle through a 12 month study guide each year to discover the power of story, music and art through the ages. 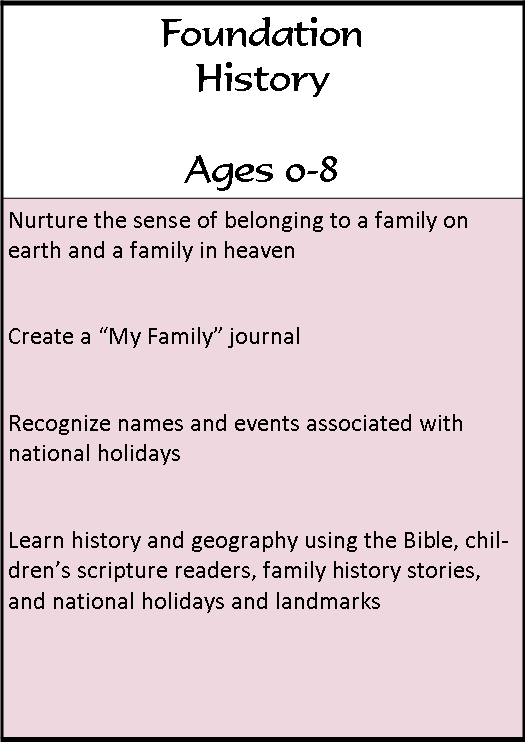 Students are encouraged to create "notebooks" that illustrates and describes how they belong to a family, a community, a country, and a world. 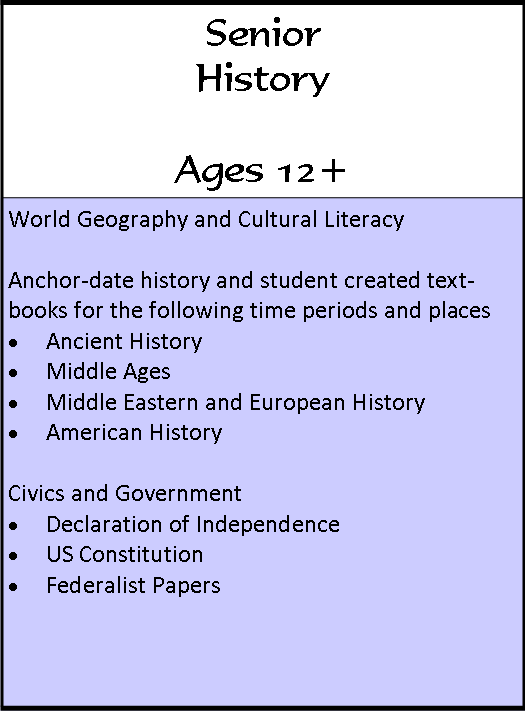 Senior History (ages 12 and older) incorporates the "Hook-Dates" from the Kimber Academy History curriculum. The "hook-date" method of teaching history is remarkable in helping students remember the events, characters, and stories of history through the ages. Our history resources will include a list of stories that correspond to each hook date. Senior students will create "notebooks" that illustrate and describe events in history from the Creation to the present day. Notebooks will be organized by hook dates.